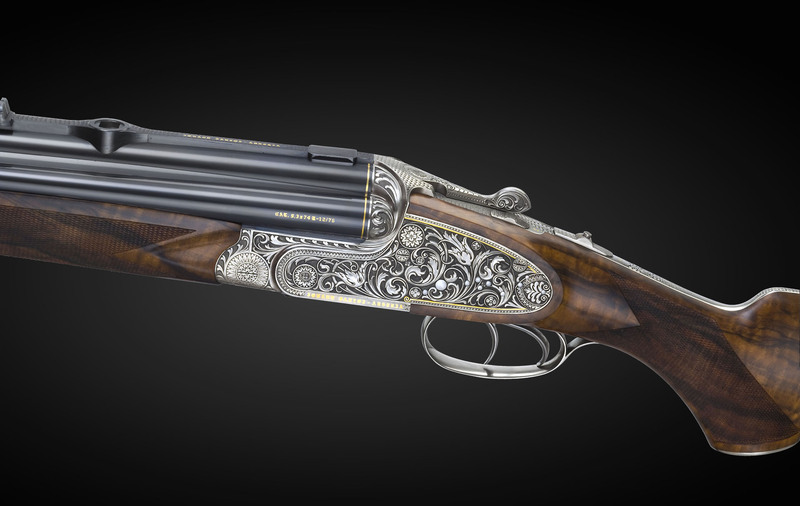 We designed and built this extraordinary four-barrelled firearm to a client´s specific request. A side-by-side double rifle (cal. 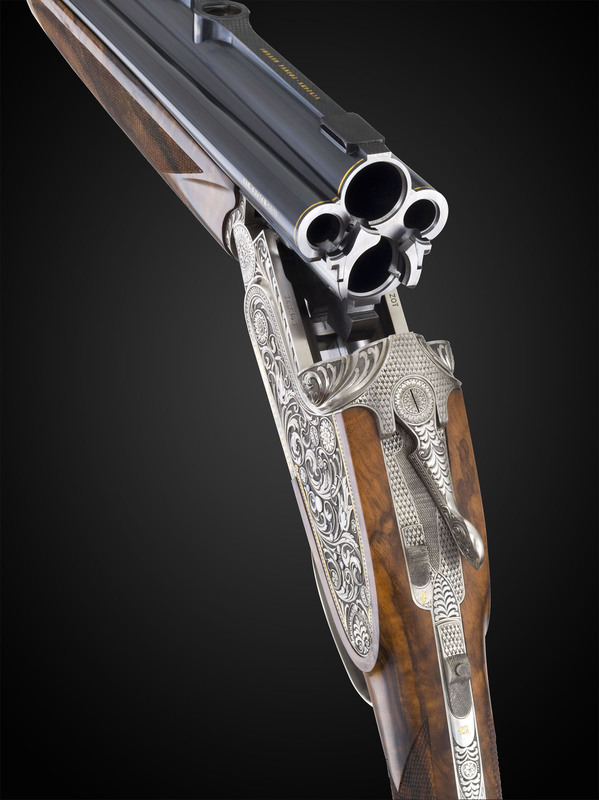 9,3/9,3x74R) was paired with an over-and-under shotgun (gauge 12/12/76) to become one firearm. 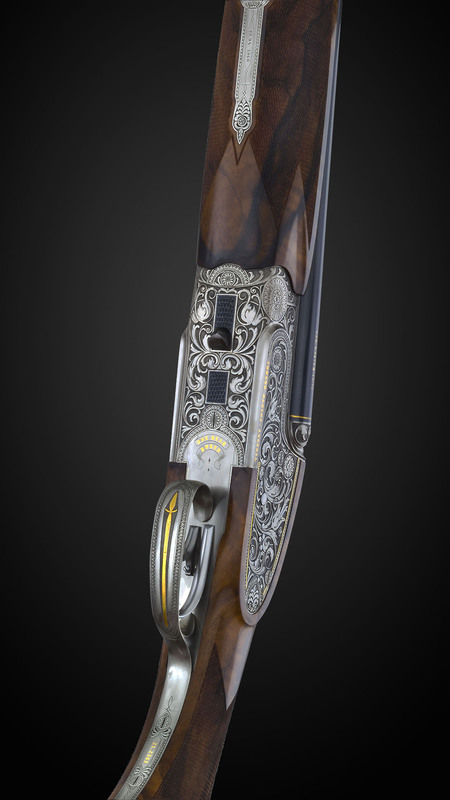 The customer required that the Vierling shoot four (plus two) times in sequence, with “hot” barrels; a robust, reliable mechanism that would enable intuitive quick handling. 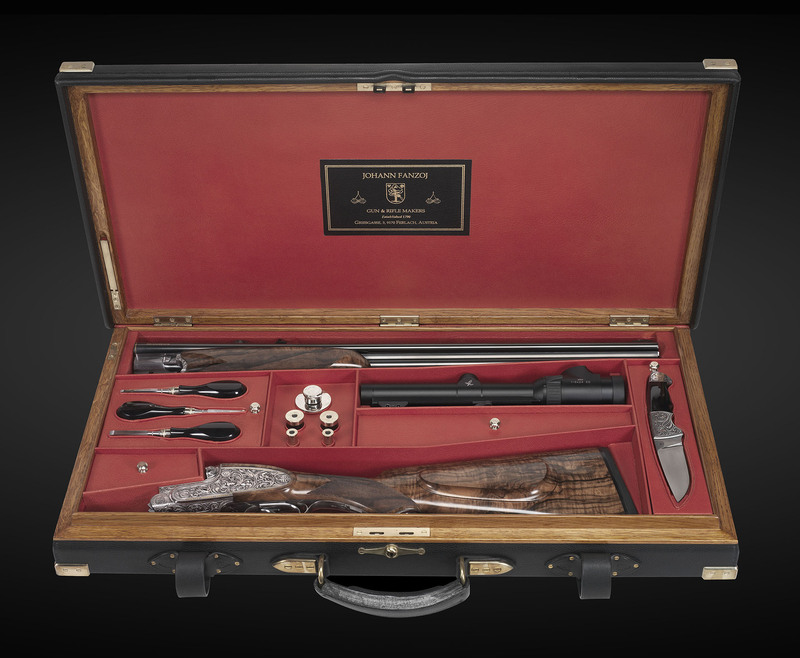 As a gunmaking complication our four-barreled Vierling is unsurpassed: H&H-type sidelocks, with automatic ejectors, yet responsive and well balanced. It took an enormous effort to design and build, to join and regulate the rifle barrels two-times-two so they would shoot together to the same point of impact, in sequence—first the 9,3 barrels, then by pushing the barrel selector forward, the shooter continues with the 12-gauge barrels. Automatic ejectors for the shotgun barrels facilitate quick reloading for another two shots.